Some Florida defendants will choose to represent themselves in hopes of saving money or under the mistaken belief that the criminal justice system will work to actively safeguard their rights throughout their criminal case. This can be a disastrous decision. It is always the right decision, when facing criminal charges, to seek the assistance of an experienced Florida criminal defense attorney. The court cannot assist you in preparing your case or defense: While the court is present to ensure your rights are not grossly violated during the course of the trial, the court cannot help you formulate a defense to your charges or advise you on how to protect your rights for further appeal and litigation. In addition, the court cannot help you in filing any motions or other documents you may need in order to properly present your defense. You are held to the same standards of an attorney: What surprises some defendants that represent themselves is that the legal standards and requirements for introducing evidence, questioning witnesses, and making legal arguments are not lessened or waived just because the defendant is representing him- or herself. You will be treated as if you are learned and experienced in Florida law. 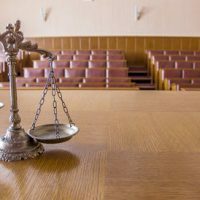 You may lose an important appellate argument: If you are represented by an attorney during your trial and you believe your attorney rendered ineffective assistance to you, you may be entitled to appeal your conviction on this ground. However, if you represent yourself any appellate argument regarding “ineffective assistance” is gone. An appellate court’s inquiry will instead focus on whether you were properly advised of the consequences of representing yourself and if it appears you made a knowing and voluntary decision. In almost every case, criminal defendants in Florida achieve a better outcome in their criminal case if they take advantage of the resources and experienced counsel of a Florida criminal defense lawyer. If you find yourself charged with a criminal offense in Florida, do not attempt to resolve the charges on your own. You may waive important legal rights that can protect your freedom and reputation. Roman & Roman fights vigorously on behalf of our clients because we recognize what is at stake when you are charged with committing a crime. Call our firm at 877-767-1032, or reach out to our firm online and let us assist you with your case.